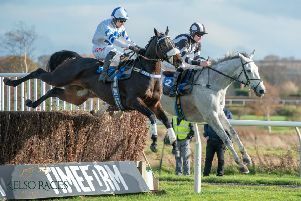 The earliest ever start to a Northern Area Point to Point horse racing season sees the Border card at Hexham Racecourse (Sunday, December 2) followed a fortnight later by the Ratcheugh Racing Club fixture at Alnwick. As usual, more than a quarter of the Area’s 14 meetings will take place at the latter venue. The fences will all be moved after the West Percy (January 6), providing fresh ground for the Percy and College Valley & North Northumberland cards, with the JRL Group Point-to-Point Flat Race closing the Alnwick campaign on Sunday, March 10. The Fife Mixed Open at Balcormo Mains, near Leven, on Easter Saturday (April 20) will again be the Northern Area Feature Race – with a prize fund of £1500 and a first prize of £1000. In addition, any runner at Balcormo in 2019 who goes on to win the Bruce Farms Hunters’ Chase at Perth on Wednesday, May 15 will pick up a £3000 bonus. More than 20 per cent of the Area’s entries and runners came from Yorkshire last season and some astute fixture planning sees only four of the 14 meetings in the 2018-19 campaign clash with one in the White Rose county. In a further boost, more than 80 per cent of the season’s scheduled 88 races are open to horses from all areas. 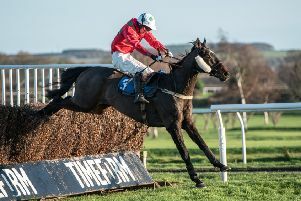 The Percy (February 3) and Berwickshire (March 30) host Skinner’s Ladies Open Races, while the Duke of Buccleuch’s (March 17) has both a Connolly’s Red Mills Intermediate qualifier and a Jockey Club Mares Open Maiden Race. Ted Veale, a former Cheltenham Festival winner from Tony Martin’s yard, changed hands at Doncaster Sales in September and should make his mark in the North for his new owner/rider, Kit Alexander, while Mr Mercurial, who boasted a near-50 per cent strike rate from Sheila Crow’s yard, is an exciting addition to Will Ramsay’s hunt racing string. Sunday, December 2 –Border at Hexham Racecourse. Sunday, December 16 – Ratcheugh Racing Club at Ratcheugh Farm, Alnwick. Sunday, January 6 – West Percy at Ratcheugh Farm, Alnwick. Sunday, January 27 – Jedforest at Friars Haugh, Kelso. Sunday, February 3 – Percy at Ratcheugh Farm, Alnwick. Sunday, February 24 – Tynedale at Corbridge. Sunday, March 10 – College Valley & North Northumberland at Ratcheugh Farm, Alnwick. Sunday, March 17 – Duke of Buccleuch’s at Friars Haugh, Hexham. Saturday, March 23 – Lanarkshire & Renfrewshire at Overton Farm, Crossford. Saturday, March 30 – Berwickshire at Friars Haugh, Kelso. Sunday, April 7 – Morpeth at Tranwell. Saturday, April 20 – Fife at Balcormo Mains. Sunday, April 28 – Lauderdale at Mosshouses. Saturday, May 18 – Haydon at Hexham Racecourse.